On Monday, TheCable learnt from a presidential source that President Muhammadu Buhari would be working from home. The reason given for the development was ongoing “renovations” in the president’s office. Little did Nigerians know the measure was necessitated by rodents that invaded Nigeria’s seat of power, not the hyenas and jackals that Aisha, Buhari’s wife, once talked about. 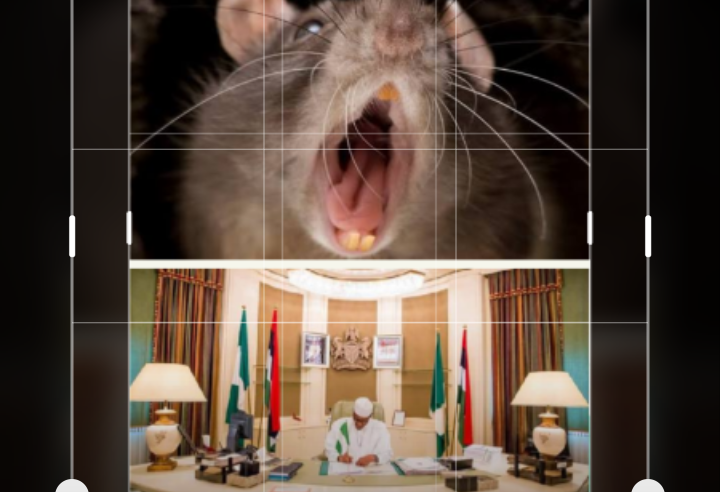 Garba Shehu, senior special assistant to the president on media and publicity, told THISDAY that the renovation was as a result of various damages rodents had caused after invading Buhari’s office. While the nation’s number one citizen was away on medical vacation, rats entertained themselves with the furniture in his office. “Following the three months period of disuse, rodents have caused a lot of damage to the furniture and the air conditioning units,” he was quoted to have said. Shehu said the maintenance company has been asked to speed up its pace of work. While they are at it, Buhari would operate from a rodents-free office within his residence.